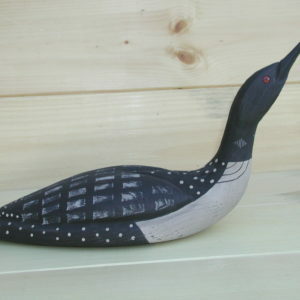 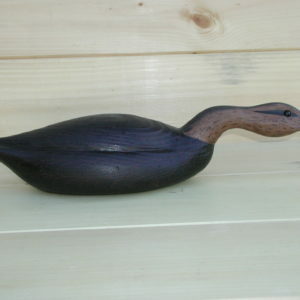 This decoy is similar to our Dudley Canvasback drake but painted with delicate brown tones as nature intended. 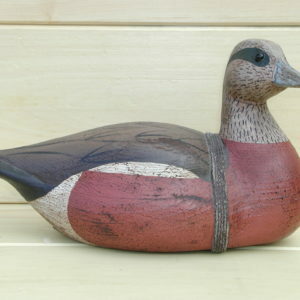 Our portly Dudley Canvasback Hen is apprx. 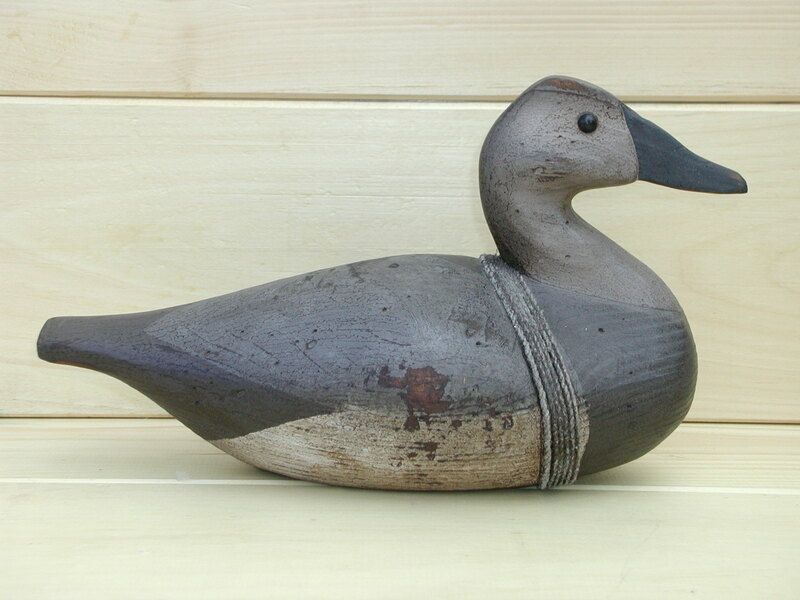 14” long x 6” wide x 7 1/2” high. 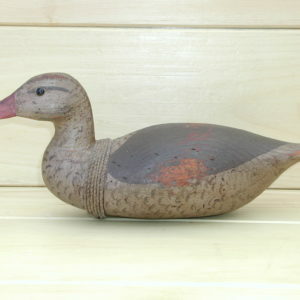 It is branded with the “WHITE” name and features black glass eyes, lead weight, an anchor line, and a distressed patina.